After construction. 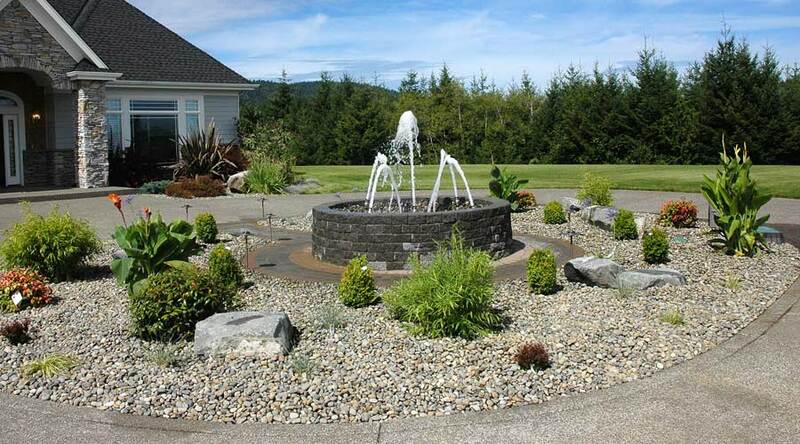 Low growing evergreen shrubs and confiers with some perennials and grasses give a good variety of color and interst to the planting year round. After construction. 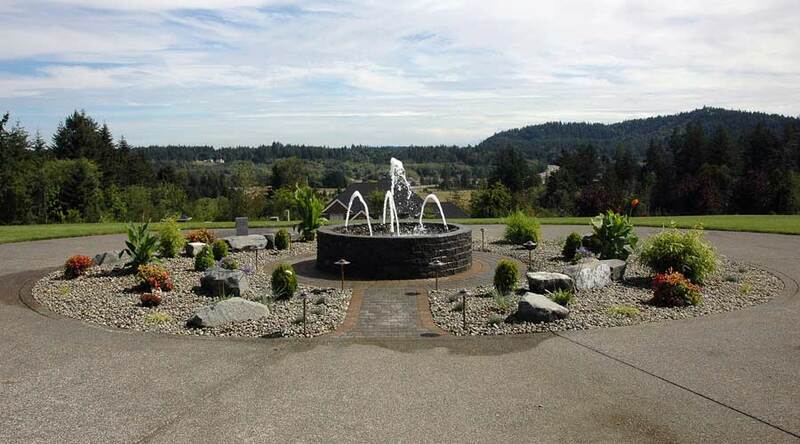 This water feature is now the focal point of a circular drive. Final project. 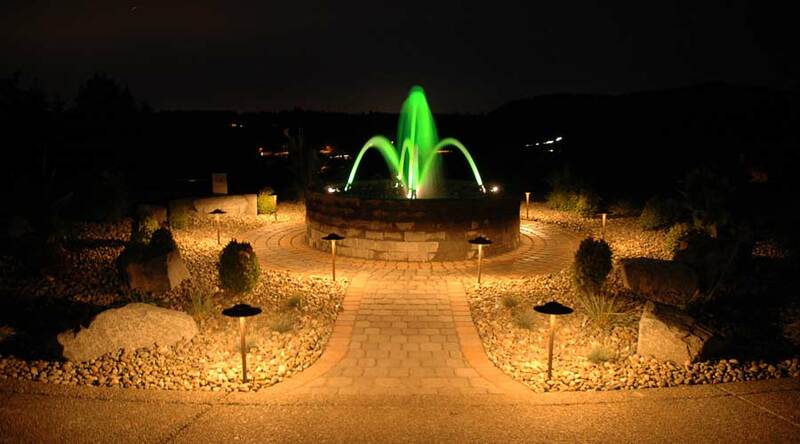 Water jets with green lighting produce an incredible nighttime display. During construction. 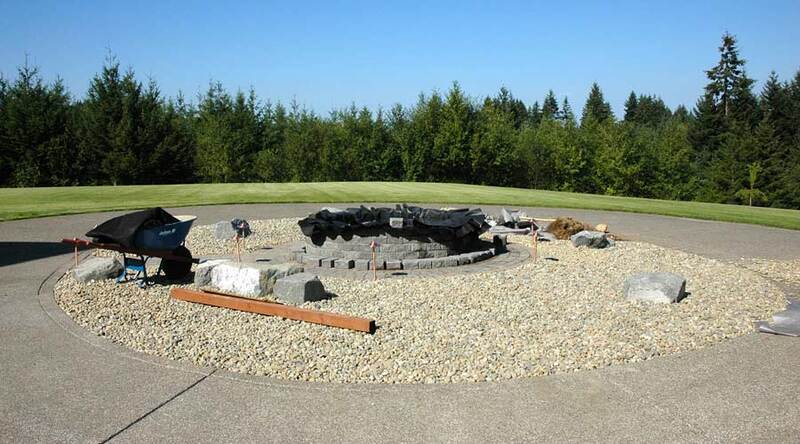 To keep maintenance on the landscape low, weed fabric is used as an underlayment and river rock used as a top dress.